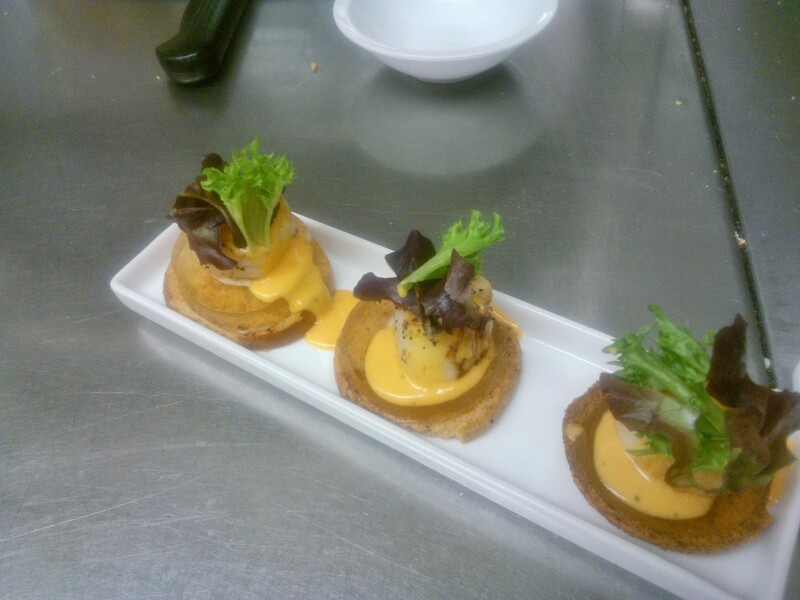 Seared scallops on a whole grain bagel crostini with honey gelee. Topped with a rich and spicy ancho hollandaise and greens. Next time I think I'll add a thin strip of bacon under the scallop to add a little saltiness to it, and delicious bacon of course.